Thought Gallery has put together a list of the 31 most interesting and compelling lectures, discussions and readings to attend in March – one for each day of the month. March 1. Learn about the first-ever female power brokers who helped shape the history of Wall Street on this tour that includes admission to the Museum of American Finance in Manhattan’s Financial District. Museum of American Finance, Saturday, 1 p.m.
March 2. Join historians as they debate whether FDR did enough in his power to save the Jews of Hitler’s Europe. Tour the exhibition Against the Odds: American Jews and the Rescue of Europe’s Refugees before the discussion at 1:30 p.m. Museum of Jewish Heritage, Sunday, 2:30 p.m.
Unbound, a literary series at BAM. March 3. 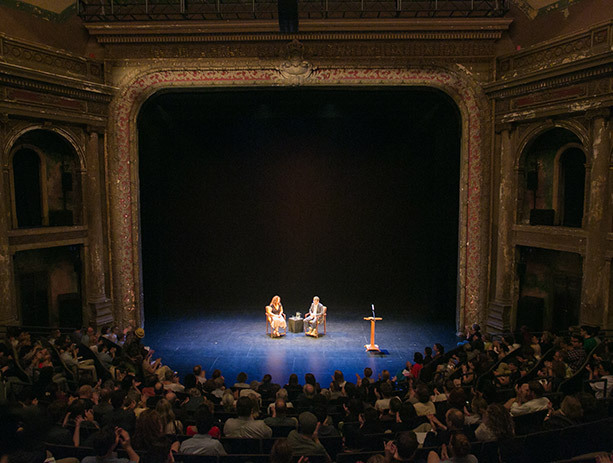 Attend the final Unbound literary event of the season with best-selling philosopher Alain de Botton who examines the effects of today’s news cycles on our brains and perceptions of each other. Brooklyn Academy of Music, Monday, 6:30 p.m.
March 4. Discover the memoir of Kenan Trebincevic, now a physical therapist in Manhattan, who escaped former Yugoslavia after war broke out in 1992. Authors Trebincevic and Susan Shapiro will discuss The Bosnia List. Barnes & Noble – Upper East Side, Tuesday, 7:30 p.m.
March 5. Explore how new research has impacted the perception of the role of drawing in Spain between the 16th and 19th centuries with Moore Curatorial Fellow Edward Payne. Morgan Library & Museum, Wednesday, 6:30 p.m. Courtesy of The Metropolitan Museum of Art. Silanion (Greek). Plato, ca 370 B.C. Musei Capitolini, Rome, Italy. Photographed by Marie-Lan Nguyen. March 6. 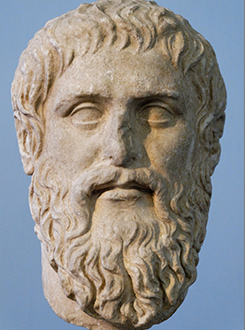 Examine why philosophy is here to stay at this Spark Talk on Plato and his relevance in the past and present. The Metropolitan Museum of Art, Thursday, 6 p.m.
March 7. Go on free museum tours after hours as part of First Fridays at Leo Bar at the Asia Society and Museum. Friday, 6-9 p.m.
March 8. Tour Chelsea’s best exhibits, from painting and sculpture to electronic media and photography, with New York Gallery tours. Saturday, 1 p.m. and 3:45 p.m.
March 9. 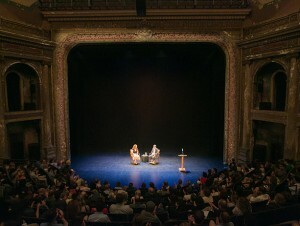 Meet New York Times Op Ed columnist David Brooks to discuss moral geniuses, those who have successful lives both in the real world and in their inner lives. 92nd Street Y, Sunday, 8 p.m.
March 10. Uncover a new generation of Nordic playwrights at this staged reading of Westend, a powerful depiction of 21st century Finland. Scandinavia House: The Nordic Center in North America, Monday, 7:30 p.m.
March 11. Sit in on a conversation between the only African American soloist of the American Ballet Theatre, Misty Copeland, and Chloe Malle, the social editor of Vogue. 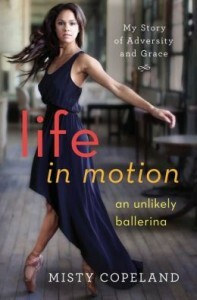 Barnes & Noble – Upper East Side, Tuesday, 7:30 p.m.
Meet the only African American soloist of the American Ballet Theatre, Misty Copeland. March 12. Attend the launch of Chris Pavone’s latest book The Accident at this meet-the-author event. Barnes & Noble – Tribeca, Wednesday, 6 p.m.
March 13. Lunch and learn with Eswar Prasad, author of The Dollar Trap: How the U.S. Dollar Tightened Its Grip on Global Finance. Museum of American Finance, Thursday, 12:30 p.m.
March 14. Join the critically acclaimed master of American wit Lorrie Moore as she introduces her first new collection of stories in 15 years. Symphony Space, Friday, 7:30 p.m.
March 15. See two classical music icons: Gustavo Dudamel and John Adams who will be interviewed by New York Times classical music reporter Michael Cooper about their journeys. The TimesCenter, Saturday, 6:30 p.m.
March 16. Discuss the much-anticipated first volume of The Letters of Robert Frost with its editors Donald Sheehy and Mark Richardson. 92nd Street Y, Sunday, 11 a.m.
March 18. Learn about the notorious disappearance and death of 23-year-old Michael C. Rockefeller with journalist and author Carl Hoffman and New York Times investigative arts reporter Patricia Cohen. Macaulay Honors College, Tuesday, 7 p.m.
Join James Beard Award-winner and author for a book talk. March 19. 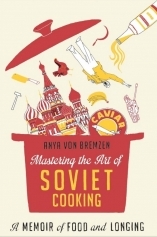 Explore Mastering the Art of Soviet Cooking, a memoir, with James Beard Award-winning author Anya Von Bremzen. Tenement Museum, Wednesday, 6:30 p.m.
March 20. Join a poetry event with Peruvian writers who will read from their latest collections. Bilingual readings. Americas Society, Thursday, 7 p.m.
March 21. Enjoy a night of free programs and activities at an after-hours celebration at The Frick Collection. Friday, 6-9 p.m.
March 22. Celebrate the release of Alexandrian Cosmopolitanism with readings, poetry and music that emerged from this exemplary cosmopolitan space of the Middle East. Alwan for the Arts, Saturday, 8 p.m.
March 23. 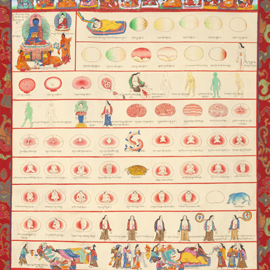 Look into the history of making Tibetan medicine through a presentation, photos and film clips of Tibetan doctors in Nepal compounding raw ingredients into medicine. Rubin Museum of Art, Sunday, 2:30 p.m.
March 24. Meet author Tova Mirvis who penned the provocative novel Visible City about three couples whose paths cross in Manhattan’s Upper West Side. Barnes & Noble – Upper West Side, Monday, 7 p.m.
March 25. Attend a conversation between two media legends: Barbara Walters and Arianna Huffington, who will introduce her new book Thrive. 92nd Street Y, Tuesday, 8 p.m.
March 26. Discover how a series of expeditions to Japan laid the groundwork for Brooklyn Museum’s collection of Asian art. Reception to follow. Japan Society, Wednesday, 6:30 p.m.
March 27. 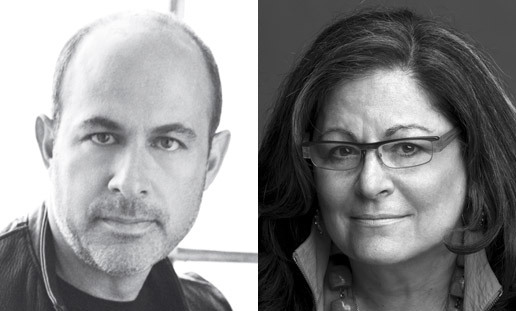 Sit down with iconic menswear designer John Varvatos when he is interviewed by Fern Mallis, the award-winning creator of Fashion Week in New York. 92nd Street Y, Thursday, 8 p.m.
March 28. Mingle and peruse works of art on a gallery tour and enjoy music by DJ i:Wah. Rubin Museum of Art, Friday, 6-10 p.m.
March 29. Attend a continental breakfast and program focused on Winston Churchill and Britain in the aftermath of WWI. New-York Historical Society, Saturday, 9-11 a.m.
March 30. Learn how the story of Abraham’s trial plays a role in today’s cultures and faiths with James Goodman, author of But Where Is The Lamb? Museum of Jewish Heritage, Sunday, 2:30 p.m.
March 31. Join author Jennifer Weiner when she discusses her most absorbing tale yet about a woman who has everything, including an addiction to painkillers. Barnes & Noble – Upper West Side, Monday, 7:30 p.m.